Your offer has been accepted. You’ve done all the legal paperwork, you’ve nearly got your hands on the keys. Just the final walk-through to go! It’s easy to get swept up in the emotion of buying a property but this is your chance to not only make sure all the chattels listed in your settlement documents are where they should be, but to also scope out any unwanted or undesirable items that may have been left behind. Trust us. It happens. The first thing to do is to make sure that everything is spelled out in the sale and purchase agreement – this is the legally binding contract agreed between you and the seller that details the property, the conditions of sale and the price. “Make sure that there is an agreed list of chattels, with notes as to their condition, in the sale and purchase agreement,” advises Kevin Lampen-Smith, chief executive of the Real Estate Agents Authority (REAA). “If the property is full of rubbish, and you want it gone before you take possession, make that a condition of the sale. If there are holes in the fence that the seller has promised to fix, get that in writing on the agreement: don’t rely on verbal assurances that something will be done prior to settlement. Do you really need to bother? It depends entirely on your situation. If you’re buying a property solely for the dirt it sits on (with plans to knock it down and build new): perhaps not. 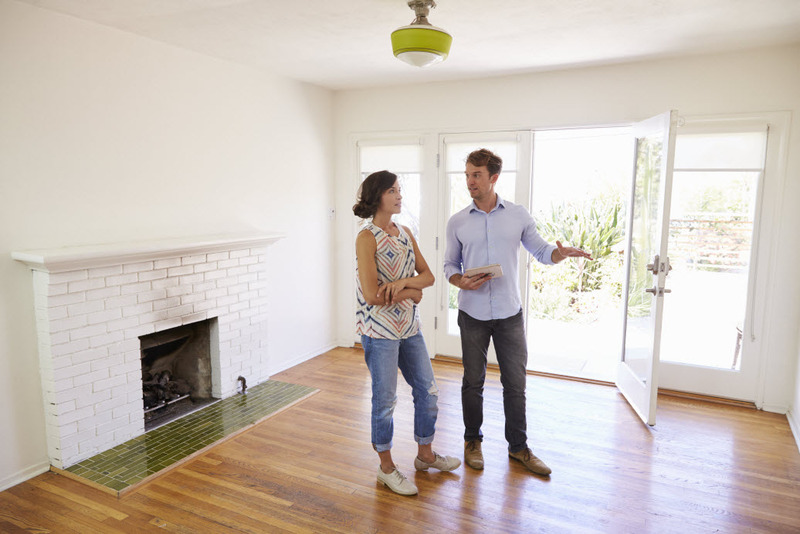 If you’ll be living in it (or renting it to others), inspecting it yourself is a must-do job. Eugene Collins of Collins & May Law comments: “Doing a final walk-through is just sensible. For most of us it’s our biggest asset, so ensuring that all the chattels listed are actually there, that the vendor has actually carried out any work they have contracted to do before settlement and also that the property is in a satisfactory condition is wise”. We’ve all heard the horror stories - purchasers arriving at their new home to find the oven, light fittings or supposedly inbuilt features gone. Then there are the stories of disgruntled mortgagee sellers intentionally damaging properties. Neither scenario is something you want to discover once you’ve settled and the property is officially yours. Collins comments: “The right to do a property inspection is specified in the REINZ ADLS sale and purchase agreement used throughout New Zealand, so you should avail yourself of that right. The contract also has a mechanism for claiming compensation for breaches. But be aware, in order to get that protection, you must carry out the inspection and give notice to the vendor’s solicitor at least one business day before the day of settlement." A property inspection before settling should take less than an hour and could prevent a whole lot of heartache and stress. You’re not just looking for what should be there. You’re also looking for what shouldn’t be there. Whether it’s a pile of heavy paving stones down the side of the house or a garage that’s still filled to the brim with junk, now’s your one and only chance to sort this out in your favour. “In such instances you can also ask them to fix the problem. If they’re not willing - ask for a price reduction to cover the cost of removal,” says Eugene Collins”. If you do find any items missing, or wilful property damage, the vendor is in breach of contract. “Time to ring your lawyer and inform them of the situation, again, well before one business day prior to settlement. Don’t notify your solicitor at the last minute because notice must be given before 5.00pm.” explains Collins. “They’ll then fax or e-mail the other side and relay your concerns. Missing items can either be replaced or a price of a replacement agreed upon, with that amount subtracted from the purchase price or lodged into a stakeholders trust account pending resolution of the dispute. Taking this action should not delay settlement if dealt with prior to settlement day”. If both you and the vendor agree, you can delay the settlement to resolve the issues. If you can’t reach an agreement, it’s important to remember that you are still legally obliged to complete the settlement (subject to the claim for compensation retention provided for in the fine print) because you’ve signed a sale and purchase agreement - a legally binding contract. Depending on the value of the dispute you should always bear in mind the cost of arguing matters on the day of settlement. Often, it’s more economic to settle and file a claim in the Disputes Tribunal. Missing chattels or unwanted chattels aside - you’re also entitled to make sure that the place has been left in a clean and presentable condition. “You should always expect a place to be neat and tidy,” says Collins. “But there’s technically no legal obligation to do so. The vendor’s obligation is to deliver up the property in the same condition it was in on the date the contract was signed. Chattels must only be in reasonable working order and that is it”. If it wasn’t a mess when you signed the contract, it’s the vendor’s responsibility to either clean it fast or compensate you financially so it can be professionally cleaned before you take possession. “Buying a property is stressful and it’s easy to get upset about things that normally might not bother you,” Lampen-Smith says. Unless you’re about to call the demo crew in, it’s worth a final inspection. And when you do it, you’re looking for what should be there and what shouldn’t be there - but still is. If you spot a problem, that’s the time to involve both your real estate agent and your lawyer and let them handle the negotiations. If you don’t, the only available option will be to take proceedings against the Vendor in the Disputes Tribunal, which can take time and cost money to resolve.